At the close of the Civil War, 4 million people in the United States were slaves. More than one million were children under the age of sixteen. When slavery was finally abolished on January 31, 1865, the system had endured for about 235 years. Over that period of time, millions of children, taken away from Africa or born in America, had been forced to live under a barbaric system. The children who grew up in slavery were denied the most basic human rights, such as freedom, safety, protection from degrading and cruel treatment, compensation for work done, education, equality and the right to freely move around. They worked for no pay and were property that could be bought, sold, maimed or killed. In the eyes of their families, however, they were children like any others, who needed love, protection, happiness, and education. But the enslaved parents had no say in their children’s fate. All they could do was give them as much physical and moral comfort as possible, and provide them with skills to help them survive. Drawing on many personal testimonies, oral histories, and slave narratives, Diouf destroys the stereotype of the happy, ignorant slave child. With authentic details, she explains what it was like to be a child in a west African village, kidnapped by strangers, forced to endure the horror of the Middle Passage, the auction block, and the backbreaking work. How different was it to be born in slavery and see your parents sold away forever? Without sensationalism, she documents the racism, extreme violence, hunger, overwork, family separation, and humiliation even the youngest had to endure. And without romanticism, she celebrates the people's courage and creativity; how many broke the law, secretly learned to read, shared stories and music, and built communities. The brightly colored cover picture seems aimed at a younger audience than the text, but this is really a book for middle- and high-school readers. The design is clear and accessible, with thick quality paper and many well-reproduced archival black-and-white illustrations. The chapter source notes will help those who want to know more, and there are excellent bibliographies of books, videos, and Web sites. 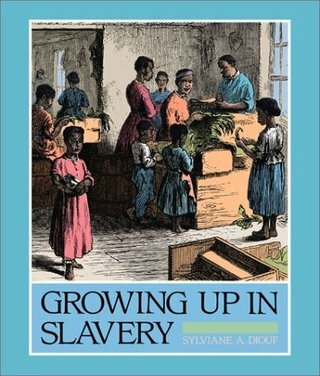 Gr 5-7-Very little nonfiction focusing on the slave experience of children is available for young readers, and Diouf provides a clear, readable, and well-documented study. Beginning with accounts of young people kidnapped in Africa who later wrote about their experiences, the author takes readers through the Middle Passage to life on the plantations. Family life in the slave quarters, including the experience of being sold, the kinds of work that children were assigned, the games they played, and their struggles to receive an education, is carefully documented with primary sources. 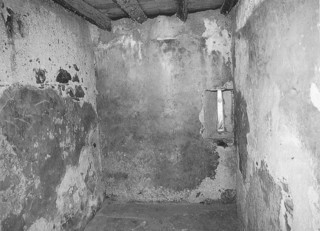 Black-and-white period photographs accompany the text. Source notes support the careful research. The list of books, Web sites, and videos for further information focuses on materials appropriate for this age group and should be readily available in most public libraries. An informative resource. Capably researched and carefully written, this book is almost understated in its account of the incredible horrors of slavery and their impact on children. The introduction, "Listening to the Children of Slavery," sets the tone and explains how we know what we do about the lives of slave children. Some of the most moving parts of the book are the words of former child slaves themselves. Structured historically, the accounts begin with the history of slavery in Africa, and with the children who were born in Africa and transported to the Americas through the horrific Middle Passage. A second chapter contrasts these children with those who were born into slavery, and is followed by chapters about life and work, children at play, experiential education, struggles for literacy and the never-ending quest for freedom. The black-and-white illustrations, mainly photographs and copies of old prints, are effective, although more would have helped break up long passages of text. The resourcefulness, bravery, intelligence and perseverance of these children in the face of tremendous obstacles are stressed. "With resilience, they preserved their families and communities against terrible odds and built their own culture. Their abundant creativity gave America gifted poets, writers, inventors, musicians, painters, scholars, and orators. The children who grew up in slavery were hardy survivors and unsung heroes." Details about the special hardships of mulatto children, the stealing of free blacks back into slavery, and the difficulties faced by those running away are carefully set forth. There are detailed source notes, a bibliography of standard resources, an index and suggestions of books, web sites and videos for young readers, helpfully divided by subject.